A programme by the Malaysian Golf Association. In Partnership with Albatrozz. GoGolf is a new project by the Malaysian Golf Association aimed at growing interest and awareness for the game. This joined initiative brings together a collaboration of the Association, its member clubs, Strategic Alliance partners, media and key industry partners. 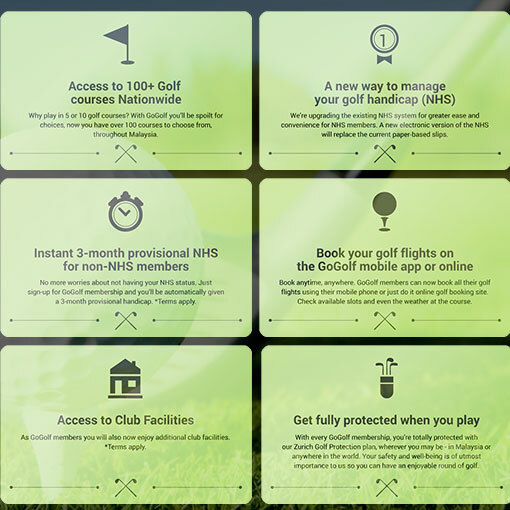 In Stage One: The GoGolf membership allows golfers access the GoGolf platform for NHS information and real time golf bookings, along with a whole host of benefit and features that compliments and enhances the golfing experience. Eventually, the GoGolf program will extend its offering which will include e-Commerce Online shopping, access to Golf Club facilities, loyalty rewards & incentives and many more benefits to GoGolf members. 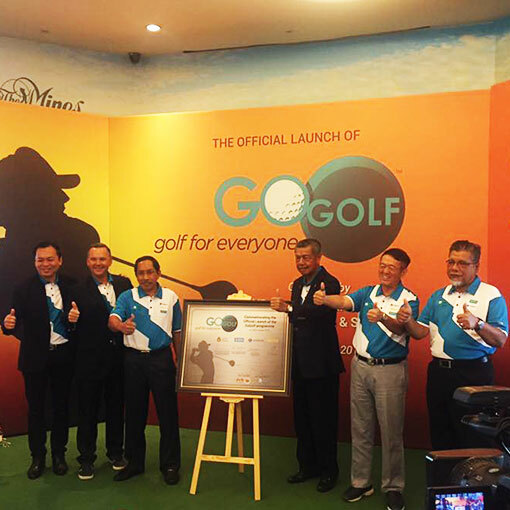 The Malaysian Golf Association (MGA) launched the GoGolf Programme. The Malaysian Golf Association (MGA) today launched the GoGolf Programme, aimed at ensuring the elite sport is accessible to all walks of life in the country. MGA President Tan Sri Mohd Anwar Mohd Nor said the programme which was initiated three years ago is designed to inspire innovation besides bringing positive changes to the golf industry, starting from the grassroots level. Why wait? When you can get instant confirmation! All-in-One Marketplace (Online Portal) for everything Golf, to promote golf flight packages, buy & sell services and advertise & promote events. Interested to join Go Golf Programme? Thank you for your interest in Albatrozz Sdn. Bhd. We would be pleased to further demonstate how the GoGolf will improve you business efficiency and profitability. Talk to our GoGolf customer service.